Got no co-borrower / co-maker for some reason and still want to know if you can be allowed to apply or if there is a provider that you can qualify to apply for seaman loan? You’re just in the right place. SeamanLoan.Com caters and helps sailors looking to get quick cash even if they don’t have a coborrower or co-maker. Yes! This is fast loan with 1 day release for those who have complete, correct and sufficient requirements. Read our terms below. We have just the right provider and package for you but this time, we want to be transparent by fully disclosing to charge you with a 3% loan application assistance fee. The reason is because this provider don’t allow giving us affiliation commission so please understand that this is our job and it pays us to feed our families too. By the way, this is also a 1 day release loan. As part of the agreement, you will be asked to sign a memorandum of agreement (MOA) with us that you agree to pay us the said fee (3%) above before any assistance process takes place. Disclosure of provider will only happen after signing the agreement to avoid any conflict of interest. Don’t worry, as we’ve promised, there will be no hidden charges and we stick to this policy strictly. It’s against our moral to assist unsatisfied clients. To know the different deductions though, you will have to ask our lending provider for seaman loan without coborrower or comaker so you can be sure how much fees and charges will be taken out from your loan proceeds. Again, it is your right to know and be presented of a transparent list of charges so go demand for it when you apply to our provider. We will not be held responsible in all terms at any case if you do not do your part as mentioned. The reason why we take away 3% from your principal approved claimed amount is because this particular provider doesn’t give us affiliation commission so we have to ask you to pay us that fee instead. Don’t worry, we will ONLY charge you if you get a loan released. No charges or fees will apply if you get declined or don’t get your loan approved. Again, no hidden charges will be applied. Everything else will be disclosed before loan claim and release by our provider so be sure to ask your own questions along the process. You are responsible for your own protection in this term but we will be there all along. Always remember that any form of hidden charges in any case whenever you are applying for loan is against the new lending law of the Philippines. You can read it here. 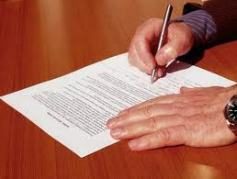 It is also why prior to assisting you to apply for this provider of ours, we will oblige you to sign our memorandum of agreement. This is a must and a major requirement by us before any action to help you apply takes place. Please consider that this is our job and bread and butter that feeds our families too. You do not need to sign this MOA if you feel violated in any way or if you do not approve of our agreement. Please feel free to find other assistance at your convenience. Interest rate for this seaman loan lending provider is only 2.5% – 3% while some charges apply like any other lending company offering seaman loan would give you. See list of requirements here – http://www.seamanloan.com/requirements/ with less the documents needed for co-borrower or co-maker.